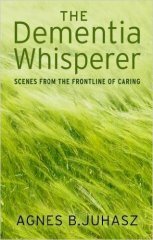 Agnes writes with great humanity and understanding, drawing on many years of experience of working with people with dementia, to show how she has learned to communicate and establish an ongoing rapport with them so as to find the essence of the person hiding behind the symptoms of the disease. After training to be a nurse, Hungarian-born Agnes spent five years as leader of a dementia-specific programme in Australia before coming to the UK to become a full-time, 24/7 dementia carer. Exceptionally supportive. A must read. Thank you. Everybody should read this book. It helped my peace of mind.